What are Instructionally Related Activities (IRAs)? What are examples of IRAs at Cal Poly? What are University Interest IRA programs? Can an activity receive IRA recognition and also be a club? How many IRA programs are recognized at Cal Poly, and how many students are currently involved? Do students have a say in how their non-athletics IRA fees are spent? How does a program receive IRA recognition? How is IRA funding allocated? What happens if an IRA does not request funds in any given year? Our IRA is newly recognized and will receive a funding allocation. What happens now? How do we access our IRA funds? What types of expenses are allowed for IRAs? How do I get reimbursed for an allowed IRA expenditure? Can our IRA do fundraising? How do I close an IRA? What is required for an IRA field trip or extended travel? What is required for international travel? Can an IRA change its name or function? Instructionally Related Activities are out-of-class experiences that enrich student life and learning. They are at least partially sponsored by an academic discipline or instructional department and their content is related to that discipline's curriculum. Intercollegiate athletics are also classified as Instructionally Related Activities, but they are handled separately from other IRA programs. The responses to these Frequently Asked Questions, therefore, do not apply to athletics. Some IRA programs impact the entire university more than only one or two colleges. University Interest and University Interest Student Affairs IRAs include the Arts - dance, music, theater, and the University Art Gallery, Media - newspaper, radio, and television, Cal Poly Heritage and Future, Rose Float, Rodeo, and promotional programs, Campus and Community - community based learning, alternative breaks, fitness programs, civic engagement programs, SAFER, and Multi-cultural, gender equity, and LGBT student programs. The remaining programs are associated primarily with the colleges. No. If you are applying for an IRA for the first time and you currently have club status or you are trying to decide between applying for club status or IRA recognition, please carefully consider that the university recognizes two distinct types of student organizations: student clubs and Instructionally-Related Activities (IRAs). Both of these organization categories enjoy the rights and privileges of recognition by the university but have unique funding approaches. Student organizations are assigned to one of these categories based upon organizational purpose and funding eligibility and cannot occupy a dual status. Therefore a group that currently functions as a student club will lose its club status and associated funding if it also receives IRA recognition. For information about criteria for instructionally related activities, college based versus University Interest designations, etc., please review the Criteria for IRA Recognition. Several thousand students participate directly in approximately 150 programs, and many more are affected indirectly as members of the audience in dance, music, and theater performances; as readers of the campus newspaper; etc. Students make up one-half the voting membership of the IRA Advisory Committee, which plays a key role in deciding which IRA programs are recognized and in recommending funding for University Interest programs. Funding recommendations for college-associated IRA programs are based heavily on input from Student Councils or the equivalent. Calls for new IRA program proposals go out every Winter Quarter, usually the end of January or early February. These are typically due to the IRA Advisory Committee by early March. If the proposed program meets the criteria listed on the IRA website, the IRA Advisory Committee recommends recognition to the President. Once recognized, programs become eligible to receive IRA funding. The total funds available are based on the IRA student fee collected each year. These are distributed to the College and University Interest IRA funding pools using a formula based on historical levels and the number of students enrolled in each college. During Spring Quarter of each year, IRA-recognized programs submit proposals that provide information about budgets, planned activities, learning objectives, assessment plans, and prior results, if applicable. The Student Councils (or equivalent), the College Deans, and the IRA Advisory Committee make funding recommendations to the President, who makes the final decisions. What happens if an activity does not request funds in any given year? An activity may suspend its operation for a year, or may have enough operating funds from prior years, from fund-raising activities or from donations, and not need an IRA allocation for a given year. The activity may apply for funding in a future year as a continuing activity and will not need to re-apply for IRA recognition. Note: a college may elect to dissolve an activity if it remains inactive for two or more years. Any activity previously dissolved will need to apply as a newly proposed activity. Once the President gives final approval for IRA recognition and funding allocations, the office of Budget and Analytic Business Service will create a Fund code for your new IRA and deposit the funds for use in the following year. This typically happens in late August or early September. IRA funds can be accessed in the same way as any other State funds. Most IRAs are supported by a college Budget Analyst or department Administrative Analyst or Administrative Support Coordinator. They can give you detailed information on how to access the funds for your IRA. You (or they) will be using the Fiscal Services forms available on the Administration and Finance website. The use of IRA funds is guided by two areas: the written goals and key learning outcomes of the IRA as stated in the Request for New or Continuing Recognition, and State fund spending guidelines. More information can be found on the IRA Expenditures and Guidelines page. Keep your receipts and work with the budget support staff in your department or college for your reimbursement. You will also need to supply a list of attendees in the case of meals, snacks, or catering for a group. This can be a general list, such as names of faculty and staff who attended, plus names of off-campus special guests and the approximate number of students who took part. Check with your budget support staff or the Academic Programs Office before your event if there are any questions about reimbursable expenses. Yes! Many IRAs host events or performances and charge for tickets or services. These funds can be deposited directly into the IRA through the Cashier's Office. In addition to IRA-related events and performances, IRAs may engage in a wide range of fundraising activities. Some examples include special fundraising dinners at local restaurants, car washes, walk/run events, sales of custom calendars or day planners, and auctions of donated items. What annual reporting is required? There are two types of annual reports which are required for IRAs. IRAs which wish to receive continued recognition and funding submit a Request for Continuing Recognition at the start of Spring quarter each year. This request includes information on IRA activities for the current year, plans for the coming year, and budget / expenditure information. 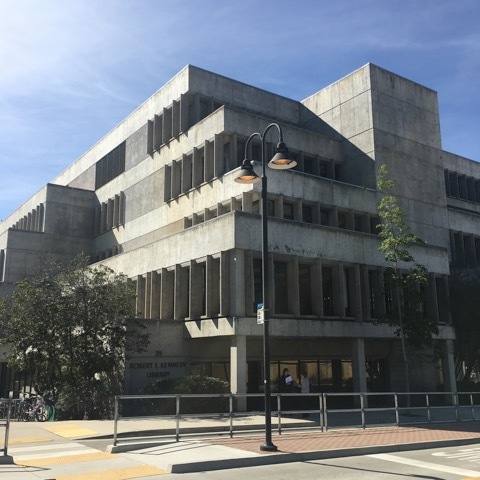 IRAs which have a roll-forward on June 30th which equates to 20% or more of the IRA's allocation for the fiscal year just ending will need to file a Cal Poly Annual Fee report. The template for this report will be sent to the IRA coordinator during summer or early Fall quarter, and is due back to Fiscal Services around mid-October. The report requires a brief explanation for the unused funds and a plan for how the funds will be used. The most common reason for rolls in excess of 20% is the timing of expenses (Spring event expenses are often paid over the summer, or the IRA may be saving for a conference held every other year) and sources of funds in addition to the IRA allocation (fund raising, ticket sales). If your IRA is no longer active, discuss the option of closing it with your department and/or college Dean's office. If it is determined that the IRA will be closed out, notify the Academic Programs IRA coordinator, who will work with you on the details. All expenses of the IRA should be paid before closing, and any remaining funds can be transferred to the college's IRA of choice. An IRA that wishes to start operations again after closing will need to apply for recognition as a new IRA. An IRA field trip or travel should be arranged under the same guidelines as course field trips and travel. Refer to the Field Trip Guidelines under Contracts, Procurement and Risk Management for further information. An international trip should be planned well in advance of travel. Review the Field Trip Guidelines and contact the office of International Education and Programs a year in advance, if possible, for help in planning your trip. Yes and maybe. If the name of an IRA is no longer accurate (for example, the competition around which the IRA is designed changes its name) then by all means, ask for a name change. Simply send an email listing the old name, the new name, and reason for the change to the Academic Programs IRA coordinator or acadprog@calpoly.edu. On your email, copy the IRA advisor/coordinator and your college Associate Dean who works with IRAs. As for changing the functions / goals of your IRA, the process depends on the original IRA goals and the extent of the requested change. If an IRA will continue in activities along the same lines as the original intent (for example, attending two different Agriculture Marketing conferences or competitions each year rather than one, or changing from one competition to another of similar purpose and level of academic involvement) the IRA can note the change in the annual Request for Continuing Recognition. An IRA that wishes to drastically change its goals and function, however, will need to apply for recognition as a new IRA. If you are considering a change to your IRA, please contact the Academic Programs IRA coordinator to discuss your anticipated request and the best way to accomplish the change. For more information contact the Academic Programs office.